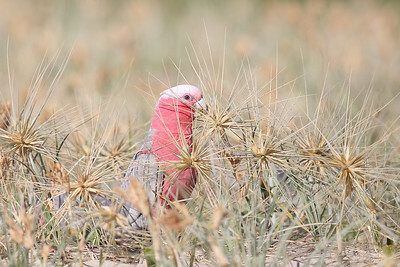 A flock of galahs feeding on hairy spinifex grass which is native to Australia. 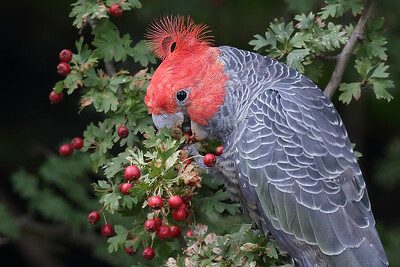 Portrait of a Galah. I love the colors and detail in the feathers, and then there's the eye. 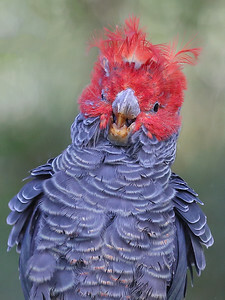 Gang Gang Cockatoo (Callocephalon fimbriatum) adult male. 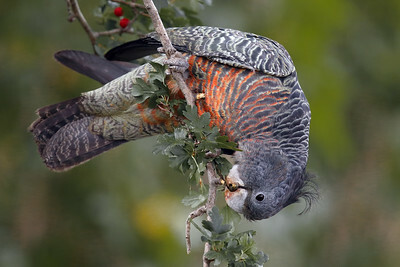 Feeding on Banksia intergrifolia flowers. Australian King Parrot (Alisterus scapularis) female. Feeding in the evening light. 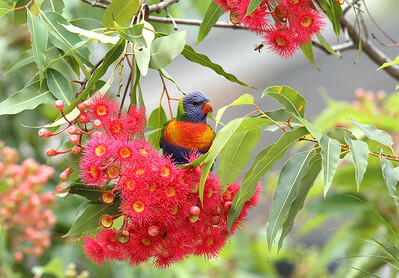 Feeding on sweet flower buds.